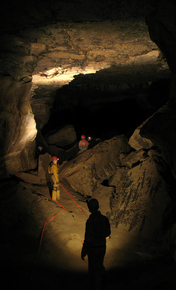 In the north west corner of Scotland is a small area of limestone of considerable geological interest. 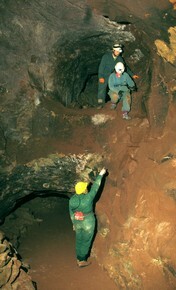 The Durness limestone lies below the Moine Thrust and has a number of sporting caves developed in the river valleys in the area. 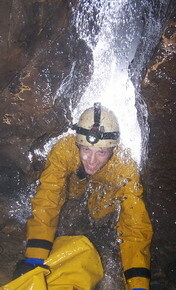 The picture shows the streamway in Cnoc nan Uamh in high water conditions. 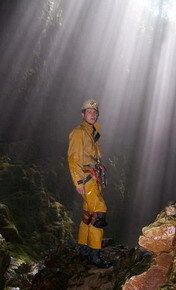 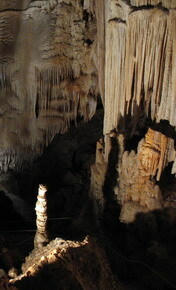 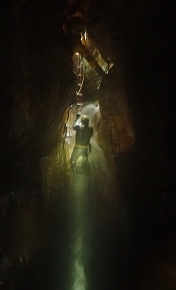 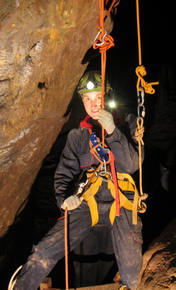 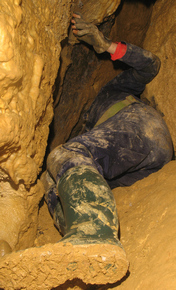 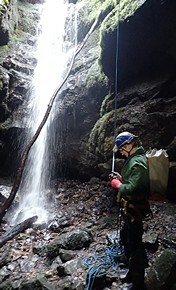 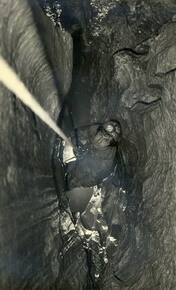 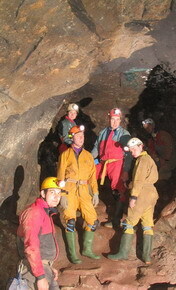 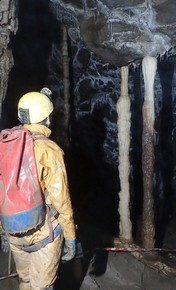 The cave can be explored to a muddy sump before it becomes a place for cave divers, only. 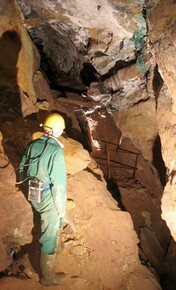 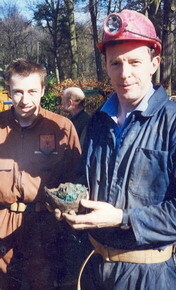 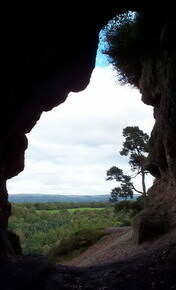 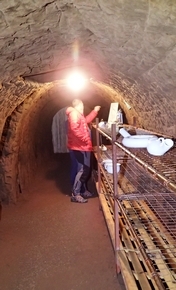 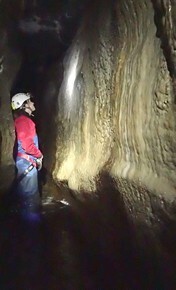 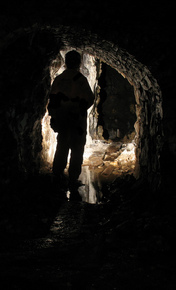 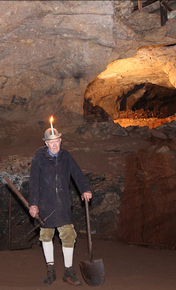 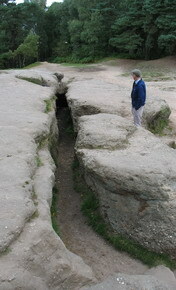 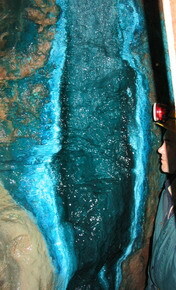 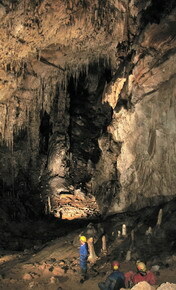 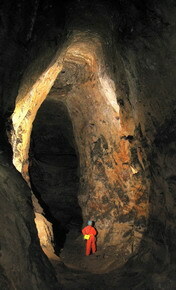 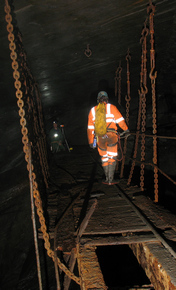 This was taken in a chert mine in Derbyshire. 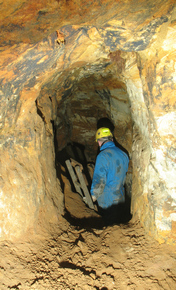 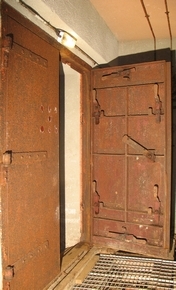 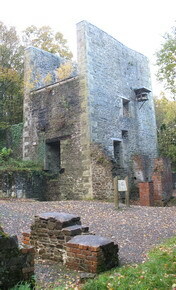 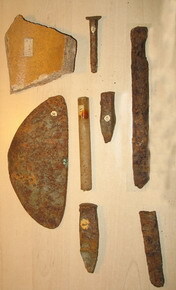 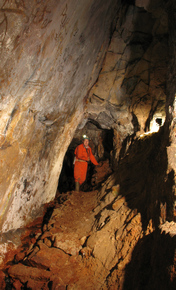 After the chert (a form of silica) had been extracted, the waste was left in the mine retained by walls such as the one on the right. 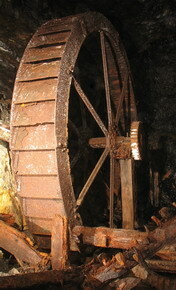 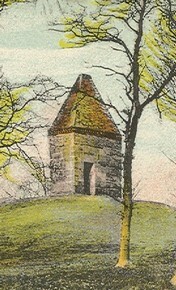 Two flashes have been used so as to gain perspective. 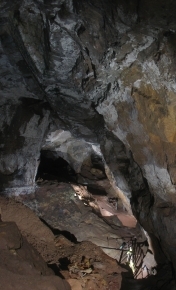 The nearby flash was not on the camera so as to avoid spots on the picture and to provide a bit of shadow behind the nearby objects.